For some time there have been difficulties with individuals and new religious orders coming into England and Wales in their relations with the local Church. There is also concern when religious are invited from religious congregations who already have an established presence in England and Wales. This paper is intended to address some of these issues and to make recommendations to both individuals and new religious congregations about the processes of establishing a domicile in England and Wales, and further, to ministering within the local Church. In the following, religious congregation is used generically to address religious orders, congregations and other institutes of apostolic life. 1. If a religious congregation wishes to establish itself in the jurisdiction of the Bishops’ Conference of England and Wales, they should immediately approach the local Ordinary into whose diocese they wish to be domiciled. 2. It is strongly recommended that all religious congregations, especially those of Pontifical Right, should consider being registered as a charity in civil law, following the procedures as laid down by the Charity Commission and that the Superior of the congregation should have formal training in financial and safeguarding laws and protocols to ensure that they are aware of their civil and canonical responsibilities. 3. If the local Ordinary responds positively to an approach from a religious congregation to establish a house within his jurisdiction, or if he approaches the religious congregation himself, he must adhere to the universal law governing these matters, and be aware of the Particular Law governing the congregation (cf CIC nn681; 678 §2,3). 5. The members of the religious congregation coming to England and Wales must have appropriate letters of Good Standing and if appropriate, Testimonial of Suitability for Ministry, from the legitimate major superior of the congregation. 6. All new religious congregations coming to England and Wales must align themselves with a Safeguarding Commission before they begin any ministry. All members of the community must undergo a recognised training course for Safeguarding principles in England and Wales and subsequent Vetting and Barring disclosures. CSAS will be able to support the new community in this work. 7 The Diocesan Ordinary has the responsibility for ensuring the significance of Safeguarding and the requirements to follow the National Safeguarding Procedures of the Catholic Church in England and Wales is clearly understood by the members of the new religious congregations. He, or his recognised delegate, will ensure that all necessary safeguarding checks, including those in para. 5 above, are implemented. 8. No member of a religious congregation of any type should undertake any pastoral work in the dioceses of England and Wales until they have completed the formal Safeguarding protocols. 9. Diocesan Ordinaries are responsible for ensuring that the Guidelines for Welcoming Priests from Overseas are followed. 10. Canonical agreements made between the Diocese and the religious congregation are not binding in civil law unless the parties expressly agree a provision which is binding. 11. The Diocesan Ordinary should ensure that the agreement with the religious congregation covers any conflict resolution, termination of ministry, time limits, renewal, amendments, holiday provision, retreats, numbers of religious in houses, liaising with Vicars for Religious, financial arrangements with the Diocese and fundraising activities. The agreement should state clearly, either within it or as an annex to it, the scope and parameters of the apostolic work to be undertaken by the religious congregation. The agreement should state within it the necessary provision of insurance to be taken out for the religious congregation whilst working in this jurisdiction. Help for this can be obtained from CoREW or the local Diocese. The agreement should also state the necessity of being aligned to a Safeguarding Commission (diocesan or otherwise) and which Commission. Signed copies of this agreement should be lodged with the Diocesan authorities and the religious congregation. 12. If a new religious congregation seeks to enter England and Wales and there already exists within the jurisdiction a house of that congregation, there has to be a formal relationship with the local major superior who must be party to these deliberations. 1. Any member of a religious congregation entering England and Wales from overseas must abide by the Immigration Law of the UK. This is especially important for non-EU nationals who arrive on Tier 2 and Tier 5 visas. They are particularly bound by the legal restrictions of those visas and it is the responsibility of the local superior to ensure there is no violation of those provisions. 2. Any member of a religious congregation entering England and Wales for pastoral ministry of any kind must be aware of and complete appropriate Safeguarding training in this country. This will include the presentation of a Testimonial of Suitability for Ministry from his legitimate major superior, the undertaking of some form of local formation on the Church in England and Wales, and submission to a Vetting and Barring disclosure before any pastoral ministry begins. The local major superior must be party to these deliberations. 3. The local superior should, with reference to the general provisions laid down in the agreement with the Diocese on the scope of apostolic work, ensure that a proper induction of any new member of the community, priest or otherwise, is taken place within a month of arrival. 4. The Local Ordinary must consult the Major Superior who is already present in the territory of England and Wales, so that those invited are in compliance with the particular law of the congregation. 1. This protocol is in addition to the existing agreements with dioceses and any Particular Law of the dioceses regarding apostolic work of religious. 2. This protocol should be read in conjunction with the structures and procedures already agreed by the Bishops’ Conference of England and Wales for the Polish Mission and the Italian Catholic Mission within their jurisdiction. The previous two years’ lectures, given by Fr Christopher Jamison OSB and Dr Austen Ivereigh, have attracted a diverse audience of those involved in evangelisation, adult faith formation and communications in dioceses and religious orders. As part of the evening there will also be a short update on the developing work of Landings across the UK. Landings is a series of relaxed, informal, lay-led meetings, based on faith-sharing within a small group, that offer a safe and supported “landing place” for Catholics who have been away from the Church and are thinking about coming back. Landings offers already active Catholics an opportunity to share their faith; to participate in the Church’s mission to welcome those who have been away; and a chance to grow and learn from each others’ spiritual journeys. Landings offers Catholic parishes and communities a simple process for reaching out and supporting Catholics who have been away from the Church or who struggle in their relationship with God and the Church. Landings is usually parish-based and led by lay people within the parish community. Landings was founded by the Paulist Fathers in the U.S.A. during the 1980s and continues to be a reconciliation ministry of the Paulists. It has since developed an international presence and, in 2001, Landings was introduced to the UK. It is estimated that over the last 30 years Landings has helped around 100,000 people who have left or drifted away from the Catholic Church and who would like to explore the possibility of rejoining the Catholic community. Two Sisters who attended the anti-trafficking meetings for Religious in January have organised follow up awareness raising days, to urge more congregations to get involved. Sr Nora Coughlan SMG, who attended the Manchester meeting, has invited two of the keynote speakers from that day for a follow up on April 9th in Formby. Brother Francis, Chair of the Medaille Trust and Sr Isabel Kelly, FMSJ, a long time member of the campaigning group TRAC, will both be giving presentations as will Anthony Brown, who has worked extensively with Caritas in the Salford diocese to raise awareness of anti-trafficking, at parish level. It will be held at the RMI hostel for students, near Gloucester Road tube: 15 Southwell Gardens, London, SW7 4RN, from 11am to 1pm. 7. The Diocesan Ordinary has the responsibility for ensuring the significance of Safeguarding and the requirements to follow the National Safeguarding Procedures of the Catholic Church in England and Wales is clearly understood by the members of the new religious congregations. He, or his recognised delegate, will ensure that all necessary safeguarding checks, including those in para. 5 above, are implemented. 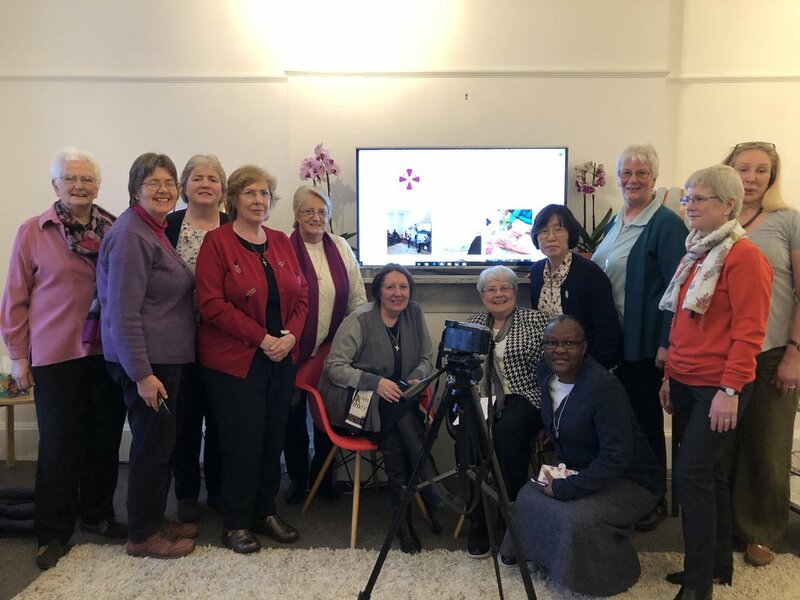 Ahead of International Women’s Day on March 8th, Sisters who founded a women’s centre in Birmingham over a quarter of a century ago have been reflecting on their work. Anawim provides a holistic service to women across the city and its drop-in centre supports over 700 women every year struggling with issues such as homelessness, domestic violence and sexual exploitation. International Women’s Day will be celebrated all day at the centre, with extra activities being laid on, including an empowerment and self confidence class. The group ‘Women in Prison’ will also be going in to give a talk about campaigning and lobbying. The ‘brainstorming’ around anti-trafficking that took place at two large meetings in January, in London and Manchester, is being followed by further research on how best to bring Religious together for the purpose of anti-trafficking work. 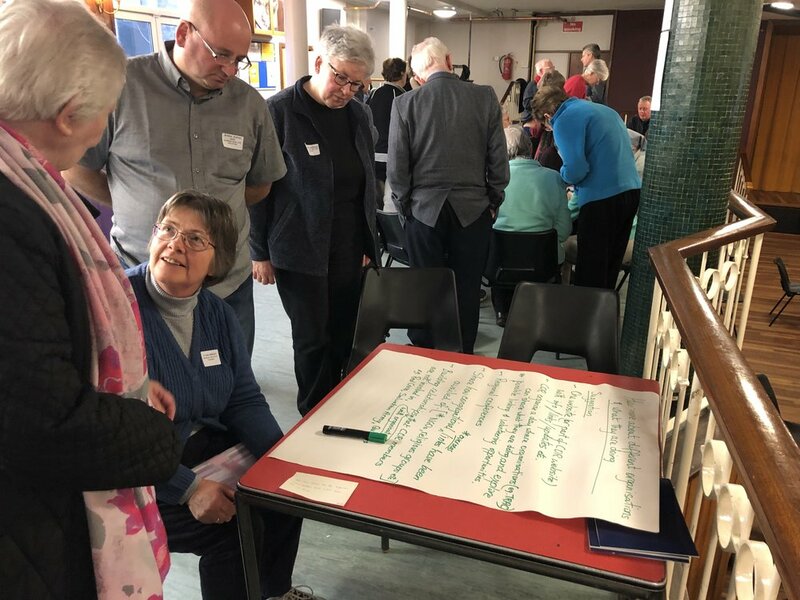 Nearly seventy attended the London meeting and forty met in Manchester, with intensive interactive discussion at both meetings, to explore how Religious and CoR can respond to the challenges. One attendee said it felt like a flame was being reignited. The meetings follow on from the Arise foundation questionnaire sent out to all congregations last year, which, for the first time ever, mapped the huge scale of work in this field. At the two meetings, three themes were selected for the main speakers to address : advocacy, frontline work and prayer. 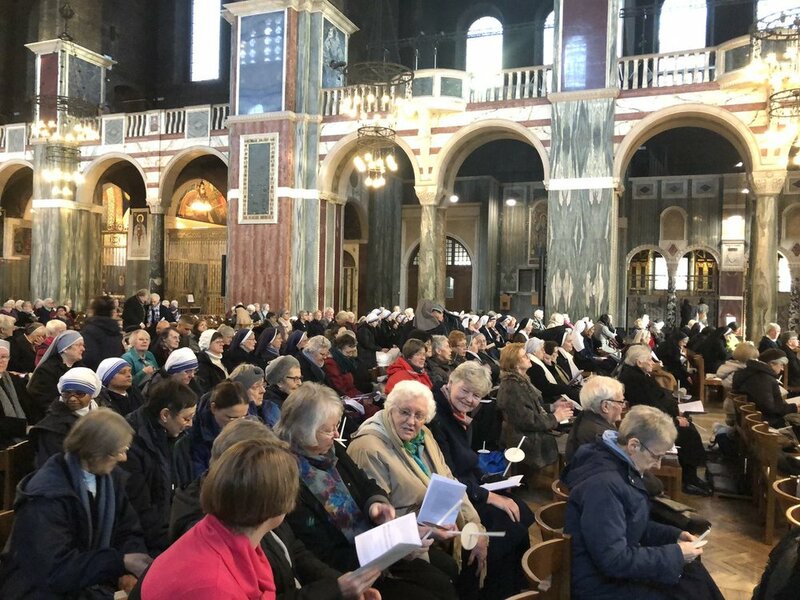 In London the keynote speakers on the topics were, respectively, Sr Patricia Mulhall CSB, Brothers from the Hospitaller Order of St John of God and Sr Sheila Barrett DMJ. 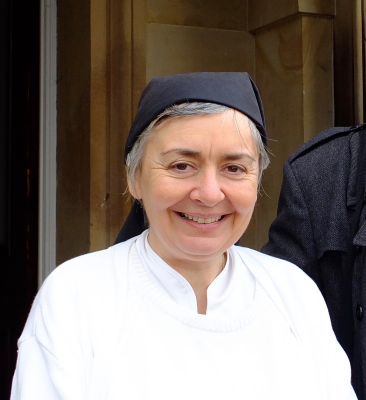 In Manchester, the three presentations were given by Sr Isabel Kelly FMSJ, Brother Francis – Chair of the Medaille Trust & Fr Terry Madden. · Create contacts list. Get out information about available bed spaces. Conversations to be held at different levels: multi-faith / or no faith, to broaden it out. Run livelihood projects. Think big. · Establish a network of Religious Orders who wish to receive victims and care for them in a ‘trauma informed’ way until they’re ready to rejoin their communities and break the re-trafficking cycle. · We need a common voice (speaking, writing). Need a mechanism alerting Religious to upcoming legislation so that we can lobby MPs. Could CoR organising training in advocacy and awareness raising? · Need to link up with organisations who can campaign on our behalf – a reputable body, recognised by CoR. Get ideas from other countries where the above has already been done – eg., Acrath in Australia, Ruhama in Ireland. · Work through MPs & solicitors. WHAT CAN CONFERENCE OF RELIGIOUS DO? · Establish means of collaboration and develop closer, constructive links with politicians. CoR to invite people qualified in legal advice / social workers / counsellors etc, to inspire ways of providing support to people who are trafficked. Speak to congregations and make a compendium of information for local groups to use. · Set up a campaign regarding ‘the hostile environment’ erected against refugees. · Use CoR website to influence. Need to contact politicians to help them know CST & what religious congregations are doing. · To gather information. Speak more confidently. · Provide information for those who want to offer spiritual / financial support: prepare prayer initiatives and circulate through CoR. One website? Or part of CoR website? With info / links / updates etc,. CoR to organise a day where organisations (eg RAHAB, TRAC, Medaille) can share what they are doing and explore possible linking and volunteering opportunities. · Organise awareness days eg., database of people involved in specific geographical areas. · Offer guidance about insurance when offering vulnerable women accommodation. Use the expertise among ourselves. CoR can encourage Religious. · Plan/offer training & awareness raising across the country, not just in London. · Write articles for external news outlets / websites, to keep the subject in the public domain. · Find out what is happening locally & get involved. Network to create awareness. WHAT NEEDS TO HAPPEN TO ENGAGE WITH POLICY CREATION AT THE LEVEL OF GOVERNMENT? · An online campaign to strengthen the voice for a platform, leading to a petition for government action. · Pray. Probably have to live with it to some extent. The disadvantage of getting big grants is you have to comply with the expectations of the funder. You are freer when you are a charity and rely on the good will of volunteers. Money can enable you to do outreach work and expand. · Recognise and support those among us who are good at fundraising and/ or accompaniment – both are necessary and valuable. · Write to external publications. Raise awareness in parish / diocese / via CoR website. · Have regular speakers – monthly – in different areas. It could be a rolling programme, so re-useable information. "Be lighthouses in rocky places!" It is a real pleasure for me to see so many women and men in Religious and consecrated life here in the cathedral today. As I thank you for your presence, I thank you too for all that you do in the service of Jesus Christ and his Church. Today’s feast does much to enrich our understanding of both. The infant Jesus, one of so many who would have been presented in the Temple every week, was picked out by Simeon as the Saviour, bringing light and glory both for those who know God, and those to whom the Good News must still be brought. Through your commitment to consecrated life, you too have seen in the infant Jesus a Saviour and you too have been chosen by God to play your part in spreading the message of salvation. This theme of light is most characteristic of the Feast of the Presentation. The symbolism is rich indeed. And I should like to reflect on this now. I was recently given a card with a picture of a lighthouse on the front, offered to me as an image of my ministry. My first thought: a lighthouse is no use without the light! There would be no lighthouse without the light at its heart. There would be no Church without Christ. It is through Christ that we can come to see the face of the Father; it is in Christ that we seek to live; it is with Christ that we walk, each day of our lives. Then a second thought: The effectiveness of a lighthouse depends to a great extent on what surrounds the light: the mirrors and how the mirrors that reflect the light are arranged, where the lighthouse is placed, how well it is looked after. To see the Church as being like the mirrors in a lighthouse, reflecting the light of Christ, is to recall an image of the Church that dates from the Fathers. The prophet Malachi speaks of the ‘Sun of Righteousness’, a phrase that maintains its familiarity for us through one of our best-loved Christmas carols. Christ is indeed that Sun from which the Church derives a certain ‘borrowed splendour’, just as the moon borrows its light from the sun. This is not just a nice image from an ecclesiology textbook. It is helpful in grounding us in our purpose, in acknowledging our utter dependence on Christ for all we do, as we seek to live out the promises we have made. Without him, without his light we are useless. When our faces are turned towards him, then we may just reflect his light more fully, despite the faults that mark us and distort his light. A third thought: The placement of a lighthouse is critical. If it is in the wrong place then its effectiveness is compromised, and ships may flounder on unmarked rocks. For people who have consecrated their lives, being in the right place to shine the light of Christ for others is so important. In the Church of today, it is so often Religious sisters and brothers who have the gift of knowing where that is. You often know the rocky places on which you must make your presence visible. There are no lighthouses in the amusement arcades of Great Yarmouth! The outstanding witness and work of Religious in the fight against modern slavery is just one example. The most recent edition of Oremus, the cathedral magazine, contains an article about the unique role of Religious in fighting human trafficking in the UK. It tells how the Religious are involved in direct, front-line ministry to those who have fallen victim to traffickers. How grateful I am to all those who are responding so generously to this need in our diocese today. Thought number four: A lighthouse can be technically brilliant and perfectly placed, but if it is not maintained then, sooner or later, disaster will strike: the light will go out. All Christian people must take the time to maintain their faith, but it is a special priority for those who are committed to Christ in the ways that you are. That work of maintenance is expressed, certainly, in our commitment to our communities. Charity in a community can sometimes be a raw thing; it often has to be an act of the will; but we cannot do without it as we seek to conform ourselves more closely to Christ, day by day. But above all, our work of maintenance stands or falls in our life of prayer: an essential and indispensable component of our relationship with God. Temptations to cut corners are everywhere: there are so many needs, important ones, that must be met; there are any number of people who need our help, or administrative tasks to be done. But we must never let the good prevent us from seeking the perfect. Today, as we renew our commitment to consecrated life, let us renew, in particular, our commitment to prayer; let us commit ourselves afresh to conform our lives, through prayer, to the ‘compassionate and trustworthy’ Christ of whom the Letter to the Hebrews speaks. One final thought: When the lighthouse has done its work; when it has guided the ship safely to harbour, what will those who disembark find? Some of you may have visited the tidal island off Newborough on Anglesey: ‘the island of the blessed’, some call it. There the lighthouse is dwarfed, at the highest point of the island, by a towering cross. The island is associated, too, with a patron saint of lovers. Our works of witness and faithfulness cannot be separated from the Cross, for us, or for those we serve. But our work can, and must, be underpinned by love. Love for one another, expressed not least in the charity of community living; love for those to whom we minister; above all, love for Jesus Christ, the light that darkness cannot overcome, whose Presentation we celebrate today. On Thursday 14 February, at Mount Street Jesuit Centre in London, a day conference for religious is taking place, at which we can hear about how Catholic institutions are responding to the urgent call on climate change launched by Pope Francis in Laudato Sì. The conference, co-sponsored by Operation Noah, CAFOD, the Conference of Religious, the Association of Provincial Bursars, Global Catholic Climate Movement and the National Justice & Peace Network, will take place from 11am to 4pm, including a Laudato Sì Mass at 3.30pm celebrated by Rev Dr Dominic Robinson SJ. Speakers will include Lorna Gold, Coordinator of the Laudato Si' Project at Trocaire and Vice Chair of the Global Catholic Climate Movement; Sr Sheila Kinsey FCJM, Executive Co-Secretary of the JPIC Commission UISG-USG in Rome; and Rev Dr Martin Poulsom SDB, Senior Lecturer in Theology at the University of Roehampton. There will also be an opportunity to learn more about fossil fuel divestment that is already taking place, and about how religious communities can get involved in supporting the clean energy transition to ensure a brighter, cleaner future for everyone. Religious have long been at the forefront of engagement in the areas of justice, peace and the integrity of creation, and this Conference will allow us to reflect on investment decisions that are being made by our sisters and brothers and to discern a way forward for ourselves. Responsible and ethical investment is now something that every religious order and congregation takes account of, and we will hear from investors who have discerned that investment in energy production and storage is an ethical issue, which requires action. In doing so, they are responding to the call of Pope Francis in Laudato Si’ to care for ‘our common home … which we all share’ (§ 13). Francis also points out that we ‘now know that technology based on the use of highly polluting fossil fuels needs to be progressively replaced without delay’ (§ 165).